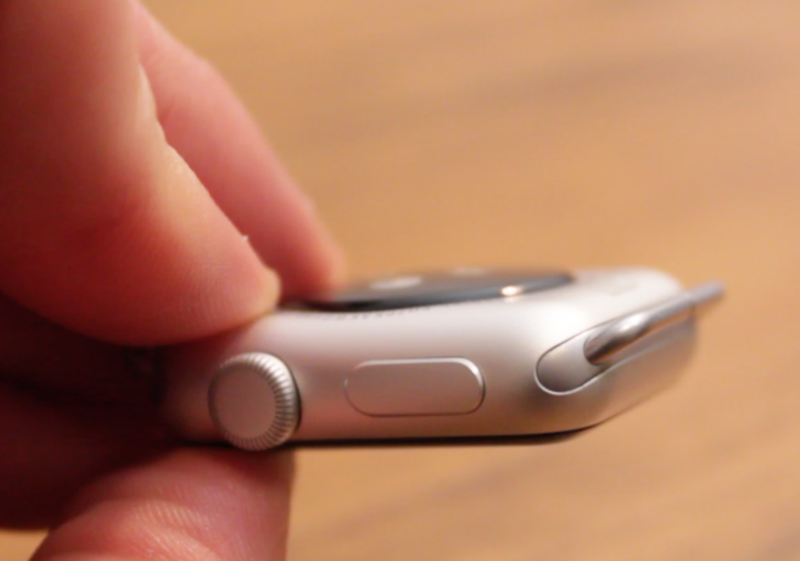 If you have an Apple Watch, you know how expensive the bands can get from Apple. Luckily, with a little band adapter for your Apple Watch, you can outfit your new Apple Watch with a variety of 3rd party bands. 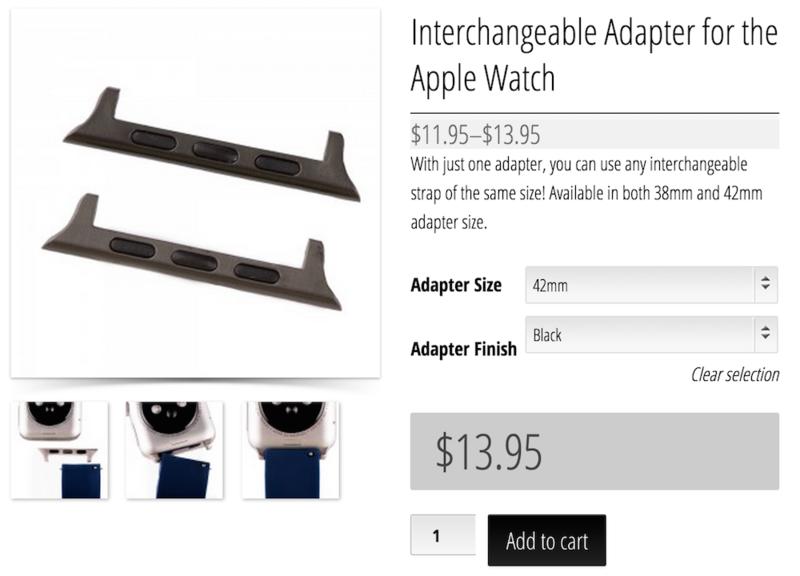 We have tried a variety of different adapters for each variation of watch and found the best adapter for your Watch along with a couple nice choices for third party straps. The first point to note about adapters is there are two different types available. When choosing the right adapter for your Apple Watch, you need to consider not only the look and color of these two adapters but also the functionality. The first you see on the left in the photo is a spring bar type adapter. This means there is a bar in the middle which goes inside the band. 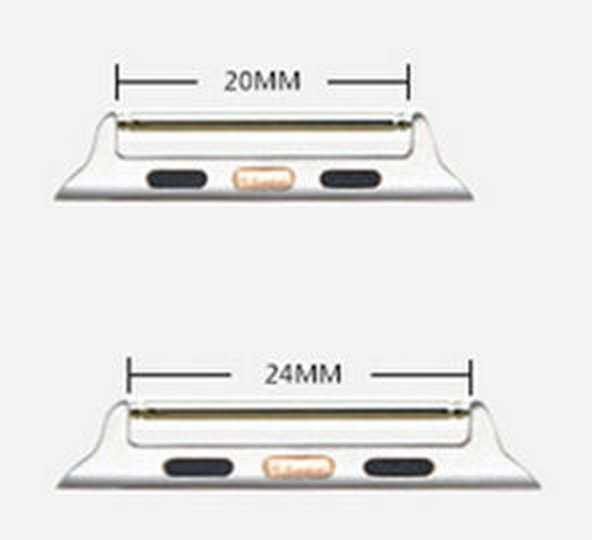 On the right, you see the 2nd style of adapter which is more a tube type adapter and also found in Apple's own Leather Band. In this type of adapter there are tiny screws (sometimes requires a pentalobe screw driver) on the bottom that you need to remove in other to free the bars and slide them through your band. Even better is the fact that this type of adapter fits perfectly with a special type of band/strap called a Quick Release band. 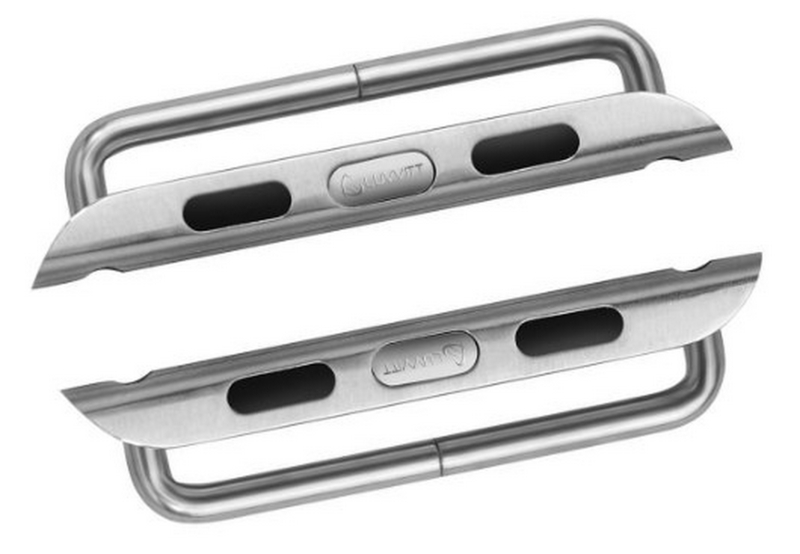 These bands have the spring bar loaded in the band with a convenient pin you can easily pull with your finger tip to remove the band. This means you don't need any tools, and with 1 single adapter you can easily have multiple bands. 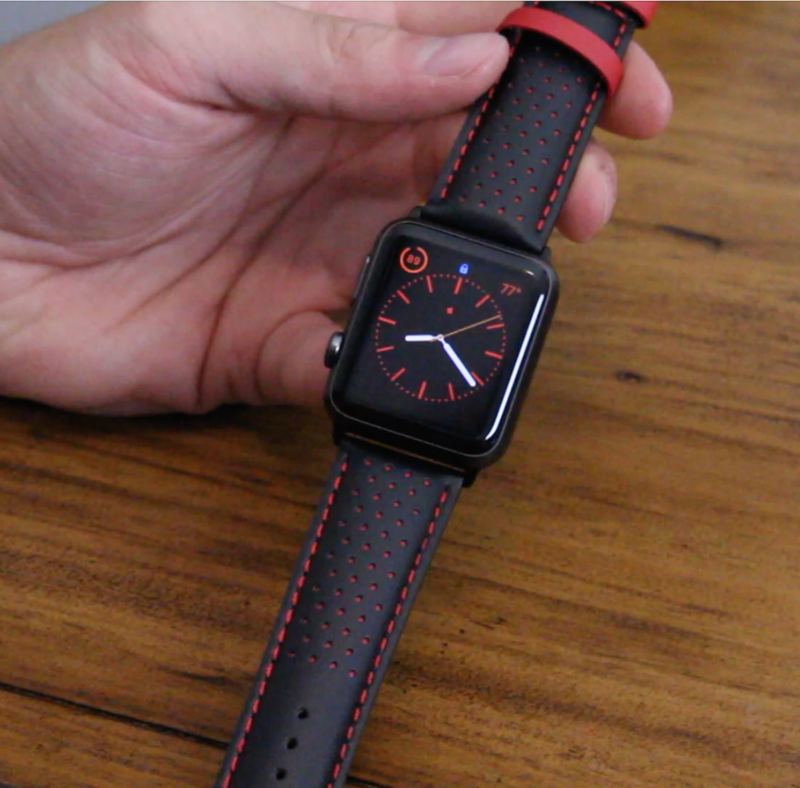 Pictured - 42mm Apple Watch, 24mm Rally Red Quick Release band ($16.95) with Interchangeable Adapter ($13.95) from Clockwork Synergy. 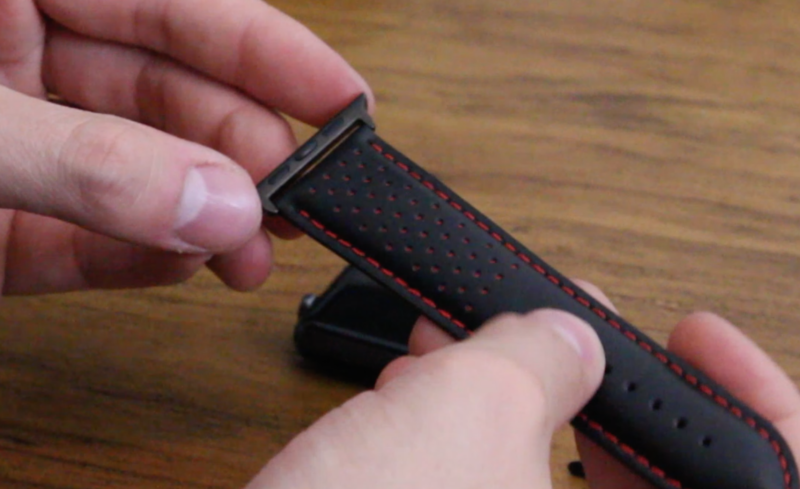 The Clockwork Synergy adapters do not have a pin hole on the side, and while it looks better without the hole, it makes it harder to change the band if you are not using their Quick Release bands. For bands that do not have quick release pins, you can always add this special Spring Bar Remover Tool to your order from Clockwork for only $3 bucks. 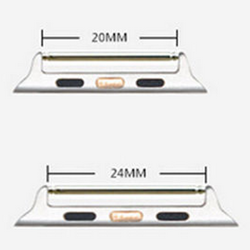 42mm adapter fit width: Max 24mm watchband. 38mm adapter fit width: Max 20mm watchband. Color 38mm Delivery Time 42mm Delivery Time. 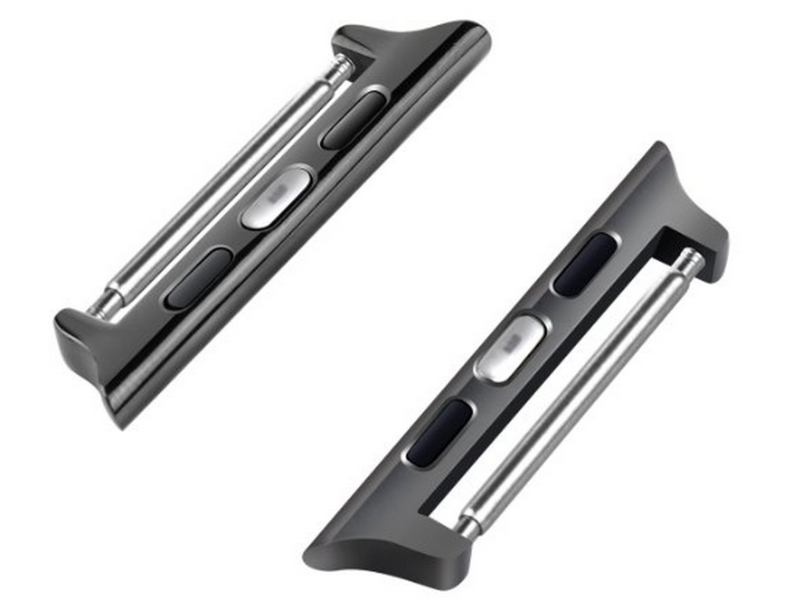 Include: 2pcs adapter and tool. These eBay adapters ship from the USA and are good quality. These adapters have a matte finish, but they are black in color. The Clockwork Synergy ones are a gunmetal/space grey, but they're polished/shiny/chrome. So neither matches perfectly. These eBay adapters have the lugs with holes in the sides for you to easily remove the spring bar when a band is installed by pushing the pin out. The eBay adapters does come with a springbar tool which is a nice plus. This is the second type of adapter which we will call 'Tube Style' since it has tubular bars that extend a bit further away from the adapter. This is the same style that you find with the original Leather Black Classic Band offered by Apple for $149. 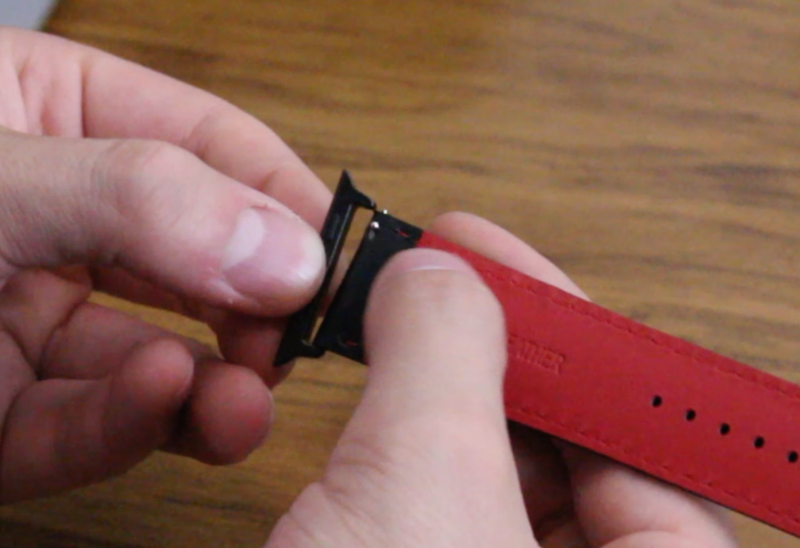 This type of adapter is nicely paired with many leather bands and steel link bands as well. The only downside with this band is that you need to unscrew little screws on the bottom in order to swap bands. That means extra tools, and a new adapter for each band or strap for your watch. 42mm Fit:24mm or 22mm Genuine Leather Band or Sport Band. 38mm Fit:22mm or 20mm Genuine Leather Band or Sport Band. Metal Band Adapter Please Choose This One. Include: 2*Adapter + 1*Tool + 6*Screws. 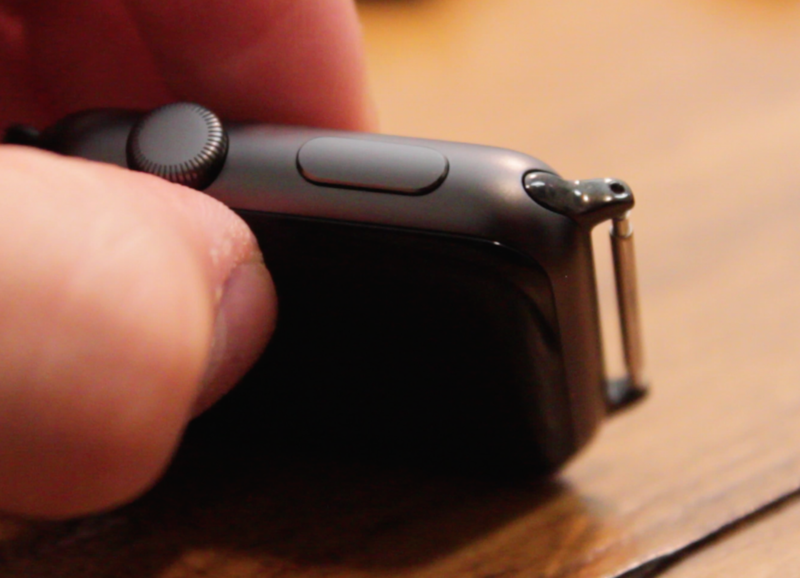 As you may have read and seen for yourself, finding an adapter that has the same exact finish of the Apple Watch is very difficult. This is because the Sport Grey has a finish on the aluminum which colors by ionization. This color is special to Apple and you could call it a "secret sauce". Adapters with the same color finish are hard to achieve. No one is going to be able to get a perfect match at cheap prices, so that's why you should go for contrast instead. Thanks for the list. We have updated a great collection of apple watch bands. I just posted a THIRD type of ADAPTER and it's a closed adapter. Meaning no tiny screws to come apart and no spring loaded bar.